If you had asked me ten years ago if I’d ever need beard oil, I'd have laughed at you. However, as facial hair styles have changed and the fact that I’ve never been a very diligent shaver, I decided to grow a full beard. As your beard is first coming in, you go through the stages of beard: George Michael, Homeless Person, Aspiring Novice, and finally Beard Guy. 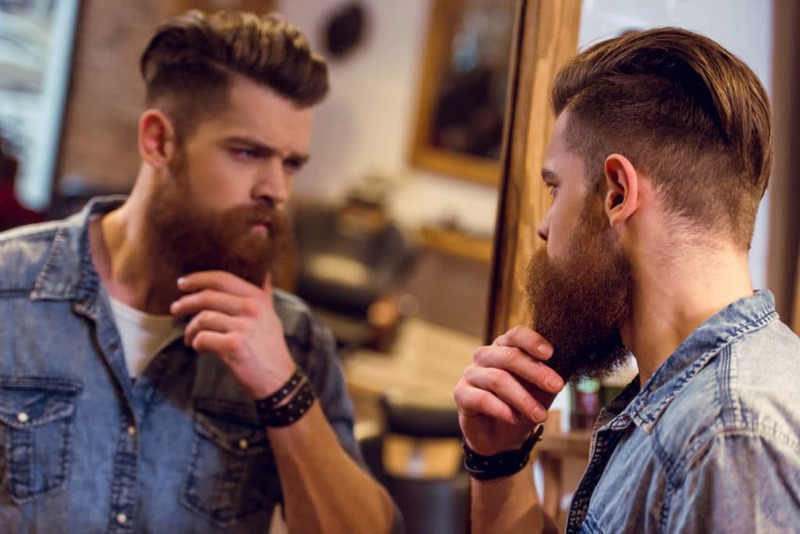 If you’re lucky enough to be able to grow a full-length beard, you quickly learn that there is a major difference between the guys with impressive beards and the guys who just haven’t shaved in a year. You also learn that taking care of a beard requires regular maintenance, just as having no facial hair does. But for me, it really boiled down to how much more I prefer beard maintenance over shaving. There’s a certain set of the population (I would count myself among them) that enjoys a nice cocktail of irony, nostalgia, and dandyism. We are the beard guys; the guys that aren’t about finding the easiest or cheapest solution, but rather, finding the solution that fits our particular sensibilities. I was approached recently to write a review for California Beard Company beard oil. I wouldn’t exactly call myself a connoisseur of beard oils, but I have tried a few. As long as the directive was to give a personal perspective, I was more than happy to oblige. Beard oil in my mind has to serve three purposes. First, it needs to enhance the luster and sheen of my beard. Second, it needs to condition the beard and make it more supple. Third, it should smell nice. Now, this last one is generally where most people’s preference is going to oscillate. 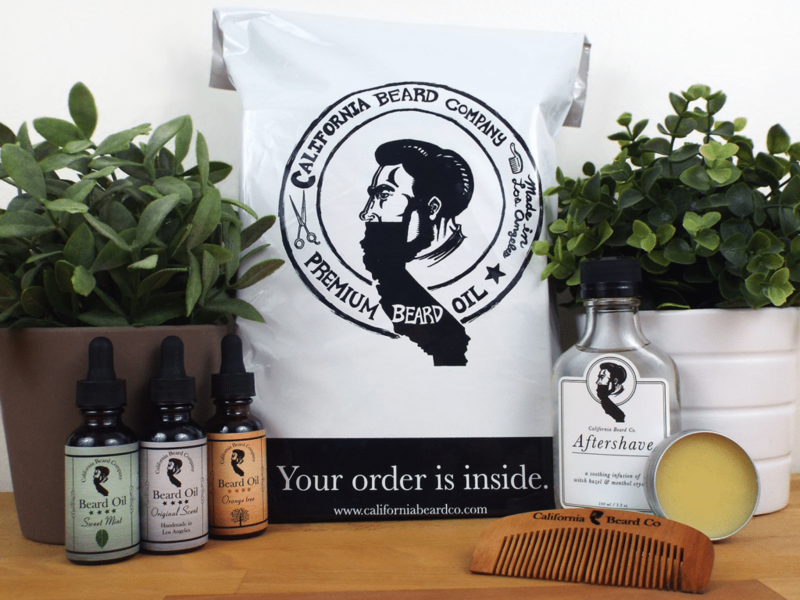 California Beard Company beard oil works exactly the way a beard oil should. I used it for two weeks solid, which was the length of time that I felt like I would need to give it to get a good read. The application was smooth and it didn’t linger on my hands and leave them feeling greasy, unlike a few of the cheaper oils that I’ve tried. It conditioned my beard well and left it feeling supple until my next washing (by the way, you should wash your beard with shampoo just like your head, obviously). It also helped keep the skin on my face feeling moisturized and smooth, which is super important. I deal with a lot of dry skin on my face due to my beard, making beard oil essential. The biggest plus with this oil was the scent. It can be tough to dial in what makes a good beard oil scent, but I think it’s best described as earthy with subtle notes of sweetness. If you go too earthy, you lean towards smelling like a hippie on the third day of a jam band festival trying to cover up their funk. If you go too sweet, you’ll feel like you’re smelling cookies all day long. California Beard Company oil walks that line perfectly. Finally, it’s worth talking a bit about price. This product is a little steeper than the beard oil you can get at your local grocery store, but as I previously stated, for most of us beard guys it’s about the experience and the ritual of it. This is a small company making a bespoke product. To me, that’s worth the extra few dollars per bottle. In reality, the price difference is probably only a few extra cents per application. It’s also nice to know that they are doing some good in planting a tree for every order on their site. This is definitely the beard guys beard oil. It’s a little bit of luxury for the rugged individual. Give them a try and be rest assured that you’re supporting a small business and also helping the earth. For more reviews on environmentally-friendly products, head on back to Green and Growing.